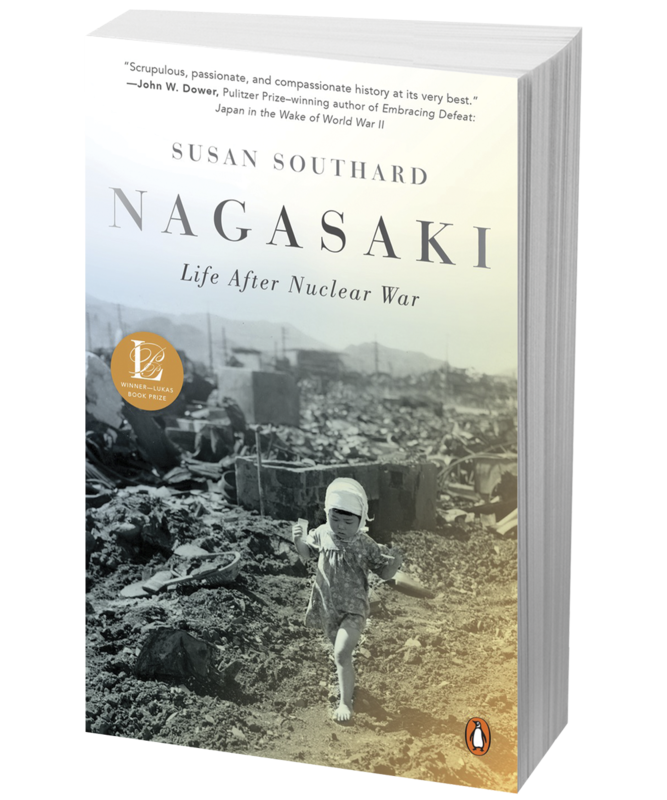 Susan Southard on the neglected story of life after nuclear war. In the following Failure Interview, the author—who is American but learned to speak Japanese as a teenager while an international scholarship student in Yokohama—touches on a wide range of topics, including: why Americans know relatively little about the bombing of Nagasaki; why a small minority of hibakusha have chosen to speak about their atomic bomb experiences; and whether the atomic bomb was actually needed to bring the war to a swift conclusion. How did you get interested in writing about this subject? It started in 1986 when I went to see Taniguchi Sumiteru speak [in Washington, D.C., during his speaking tour of the United States]. Then I received a last-minute call inviting me to be his interpreter and I interpreted for him for two days. We had a lot of downtime where no one else spoke Japanese so I would have meals with him and drive him to his presentations and sit with him in the evening until it was time for him to go to bed. He told me things that he doesn’t say publicly and showed me photos of his injuries that he doesn’t show publicly. I was spellbound. There is a photo in “Nagasaki” of his injuries. How did he survive with those burns? For all intents and purposes, he shouldn’t have survived. Actually, he didn’t want to live during the first few years after the bombing but once he was able to sit up and then walk and go home after being hospitalized for three years and seven months he [developed] a very strong will to live. Was it difficult for the survivors you interviewed to speak about what they experienced? Not with these [five] survivors—Taniguchi Sumiteru, Dō-oh Mineko, Nagano Etsuko, Wada Kōichi, and Yoshida Katsuji—because they all speak about their experiences publicly. I did speak with other survivors whose stories are integrated into the book, but they are not necessarily named. There is so much to nuclear survival that I needed to weave in a larger context of what was going on with others. I did interview survivors who had never told their story to anyone and it was quite powerful to hear them speak. They had never met an American before. Did they treat you differently because you were American? A few of them were uneasy at first, but not after we got to know one another. I understand that you interviewed the survivors in Japanese. Your ability to speak the language—what impact did that have on getting survivors to open up to you? A big impact. It offered accessibility on a level that would have been much harder had we had an interpreter there. I want to clarify that my primary translator translated all of my interview questions into Japanese to make sure I didn’t say something incorrectly because you can misconstrue and suddenly get lost in the interview. But I know enough Japanese that I could understand what the survivors were saying and respond and do follow-up on my own. Why have so few Nagasaki survivors come forward with their stories? There are many reasons. Culturally, especially for that generation, you simply didn’t speak publicly about your experiences, especially experiences of suffering. Furthermore, most survivors kept their identities as survivors hidden because of the discrimination that took place. Employers didn’t want to deal with somebody who might become ill later, and potential spouses didn’t want to [either]. And everyone was afraid of the potential genetic effects of the bomb on their children. So there was a lot of hiding of identity for both Hiroshima and Nagasaki. Did you talk to anyone who survived both Hiroshima and Nagasaki? No, I did not. I believe the last double-survivor died while I was working on the book. But I wrote about a few double-survivors and what happened in both Hiroshima and Nagasaki. Did the residents of Nagasaki know what had transpired in Hiroshima on August 6? The press in Japan was censored by the government so the announcement of the Hiroshima bomb was [along the lines of]: ‘Hiroshima bombed by new type of bomb; considerable damage done.’ It was very tempered. Those who had been in Hiroshima or had traveled through after the bombing and came back to Nagasaki did tell people, but fundamentally the city didn’t know. They were more scared of conventional and incendiary bombs because almost every city in the country had already been firebombed and Nagasaki hadn’t. It had been bombed conventionally five times in targeted bombings, but not extensively. That’s what they were worried about. Could the victims comprehend what happened to them that day? There was no possibility of understanding what happened that day. They didn’t know what a nuclear bomb was and a huge part of their city disappeared in an instant. The heat melted skin and the blast pressure forced people’s eyeballs to pop out of their heads. Even now I don’t think we can comprehend it. I did my best, but the thirty pages I wrote does not even touch the horror of what happened. Americans know relatively little about the bombing of Nagasaki. Why do you think this is? There are a few reasons. With Hiroshima being the first city that was bombed by an atomic weapon it has become the icon not only for the atomic bombings of Japan but for the launch of the nuclear age. And in the U.S. the Hiroshima bomb made major headlines but the Nagasaki bombing didn’t. One of the reasons is that the Soviet Union invaded Japanese-held territory in Manchuria approximately eleven hours before the Nagasaki bomb was dropped, and the Soviets entering the Pacific War was the major headline. Third, President Truman never spoke about the Nagasaki bombing in his public announcements. What about the role of post-war censorship. How did that figure into what was known or not known about what happened? It had a very serious impact in Japan because the occupation censorship division ... the strictness of its press code prohibited any press coverage not only about the bombing itself but what was happening in Nagasaki in the aftermath, so for two years people in Japan didn’t know what had happened. And doctors couldn’t speak publicly; they couldn’t present or confer at conferences. I’m sure they talked privately but it was a limited public awareness. And in the United States, Truman and the War Department asked the media not to do stories without approval. Their motivation may have been to keep the story silent, but what was said out loud was that it was on behalf of nuclear security—that they didn’t want to give any hints about how the bomb was made. So in the U.S. the larger picture was not revealed. Of course, eventually it did get out in 1946 with John Hersey’s “Hiroshima” and articles by Norman Cousins [in the Saturday Review]. One of the most interesting aspects of this in terms of post-war media perspective is that once the story did start to get out in the U.S., Truman and Secretary of War Stinson and a team of others worked together to find a way to shut the story down. It culminated in an article that Stinson wrote for Harper’s that laid out all the reasons why the bombs were used—some reasons were part of the strategy and some were constructed afterwards. There was a lot of truth in what he wrote but a lot of omission. It basically set the stage for the general population’s understanding that the atomic bomb ended the war and saved a million American lives. That figure is quite controversial, and it’s very difficult to come to the conclusion that the atomic bomb was needed to end the war, especially in terms of the Nagasaki bomb. The reporting in the book suggests that the use of the bombs at Hiroshima and Nagasaki might not have been as necessary as Americans have been led to believe. It’s complex and there is no conclusive answer but the historians who have done the most careful analysis lean towards the idea that—at the very least—the Nagasaki bomb wasn’t necessary. It seems to be a pretty compelling case that the war was coming to a close anyway. The Japanese were alarmed that the Soviets had entered the war. Previously they had been allies and this was a terrible turn of events for them. It made them have to fight on more fronts and they didn’t have the resources anymore. Those who were seeking to surrender thought that the Soviet Union would be a country they could use as a negotiating tool. There was panic that day when the Soviets invaded and the Nagasaki bomb was dropped. The survivors you talked to … were they angry at one government more than the other? Some of them were quite angry at the United States early on, and they were angry when Japan surrendered and found out more about what had been going on. Mostly those who survived were angry at war and the power of nuclear weapons. Now in their older years the anger is gone and they want Nagasaki to be the last atomic bombed city in history. How do the survivors remember the moments after the blast? Was there anything universal about the experience? Each experience was so different because of where they were—how close they were to the hypocenter and what happened to them physically. But their memories are so vivid. It’s gripping and horrifying to hear them speak about what happened that day. When they talk about it their whole body is energized and they speak faster and their voices go into a higher pitch and there is an urgency to that memory. Of course, most survivors don’t speak about it at all; it is too hard and overwhelming. But the five [in the book] and others have chosen to remember and have that memory vibrant in their minds. It’s a big cost to them. Tell me about the suffering that survivors experienced from radiation illness. The first wave came two to three weeks after the bombing. While the government may have known at that point that it was an atomic bomb, the people who were still alive and the physicians who came into the city to help didn’t know. Suddenly people developed purple spots on their skin and their hair would fall out in clumps and they had bleeding gums and other really radical symptoms. Most people died within a week, and the doctors were crazy trying to figure out what was happening. A second wave happened within a month and then for those who survived, some remained ill for years with symptoms that never healed. One of the survivors I interviewed in the book lost all her hair and it didn’t grow back for ten years. She remained in her house, as did many young people who remained injured and disfigured. Long-term, five and ten and twenty years out there were big spikes in leukemia and dozens of other cancers and in the rates of cancer incidences among the survivors. From their perspective, once they knew what had happened and that it was radiation they felt like they had been burned from the inside out. They never knew when they might die. Was it a difficult book to write from an emotional perspective? Yeah, it was very difficult. One thing that helped was that the five survivors and then other people who helped me over the years in Nagasaki were such remarkable people that I came to care about them, so even when I was writing the worst aspects of their experiences it allowed me to write without being completely crushed by the story. It was how much I cared about them that allowed me to stay with it. Have the five survivors read the book? They haven’t because it’s only in English. However, two of the five have sons who speak and read English—one is an English teacher and one was a veterinarian who is now a visual artist—and they have read the book and they learned so much about their parents and the atomic bombing that they had never heard before. And they have told their parents about [what is in] the book. If you go to Nagasaki today, what can you see or what should you see? If you go today, if you don’t head to where the hypocenter was you might not know that the city was bombed. There are no outward signs until you get to the hypocenter area, where there is Hypocenter Park. The bomb exploded some five hundred feet above the ground and right beneath that they have a beautiful memorial. 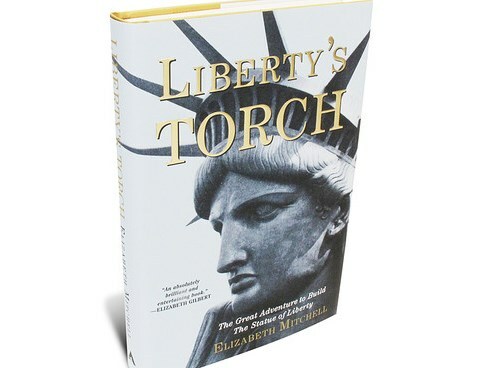 Statue of Liberty: The Untold Story—Elizabeth Mitchell, author of “Liberty’s Torch,” dispels long-standing myths about the most recognizable statue in the world. 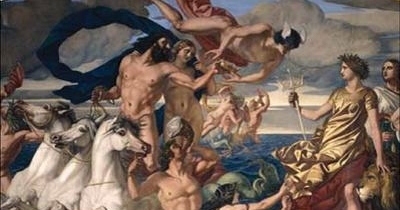 Why the West Rules, for Now—Ian Morris on the patterns of history, and what they reveal about the future. 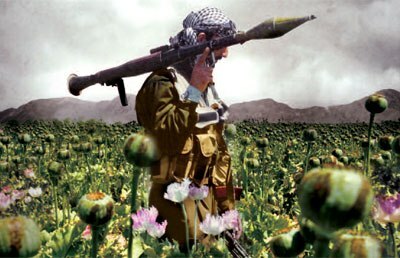 Seeds of Terror—How heroin is bankrolling the Taliban and al Qaeda.